Find hotel near Statue Of Grof Karolyi Sa ..
Sandor Karolyi lived a fruitful life from the year 1668 to 1743. 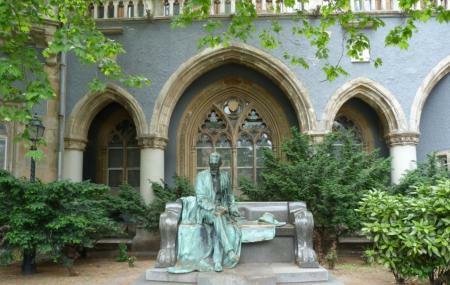 He was born in the Kingdom of Hungary, died here and dedicated his life for the betterment of the people here. He was an aristocrat, a field marshall and a statesman. His allegiance to Austria and Hungary helped him come up with the notable treaty of Szatmar. He was born in the Karolyi family which was very influential in its time. Hence, he had a knack for politics and an understanding of the society since a really early age. This statue is dedicated to him and is made in his memory. How popular is Statue Of Grof Karolyi Sandor? People normally club together Hunyadi Ter and Alexandra Konyveshaz - Parizsi Nagyaruhaz while planning their visit to Statue Of Grof Karolyi Sandor.